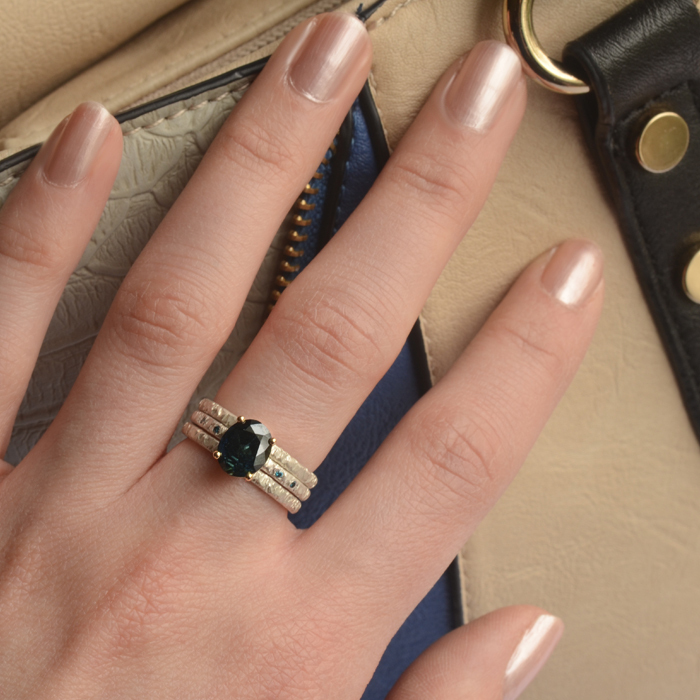 The emphasis of the Sierra Collection is texture. 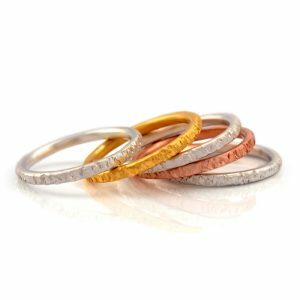 Use of special texturing hammers create unusual indents, low points and high points in the metal’s surface creating an effect akin to a mountain range terrain. 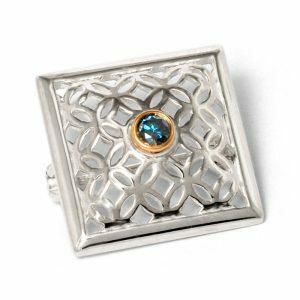 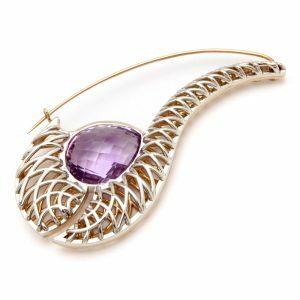 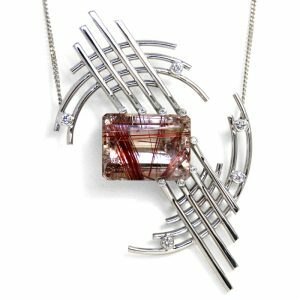 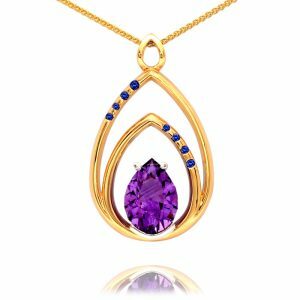 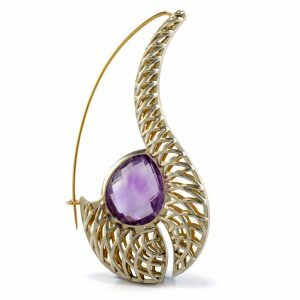 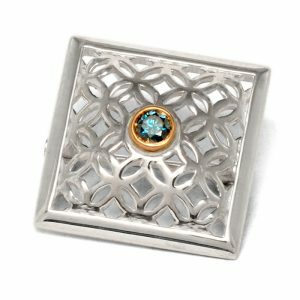 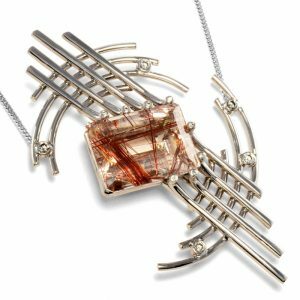 These textured elements are often combined beautifully with clean, polished metal bezels featuring accent coloured gemstones or diamonds. 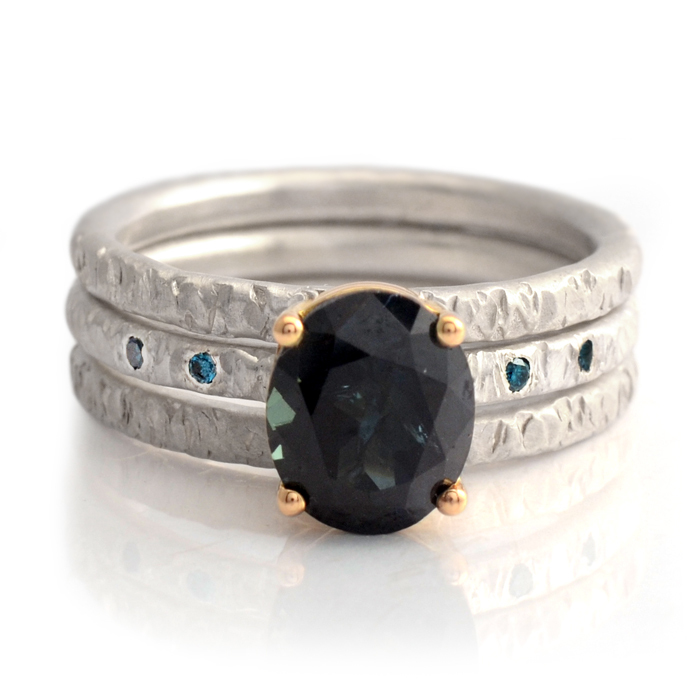 This forged, rustic look brings an extra dynamic to each characterful piece. 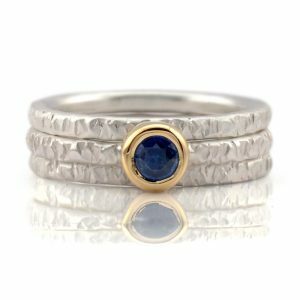 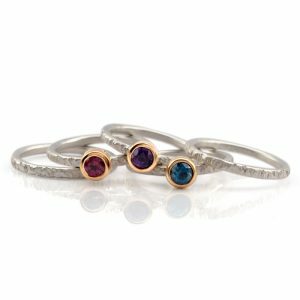 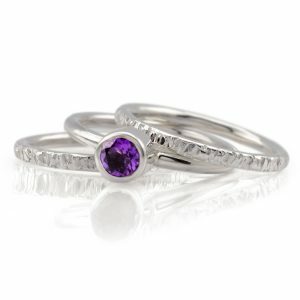 Set of three individual rings that can be worn on their own or as a stack. 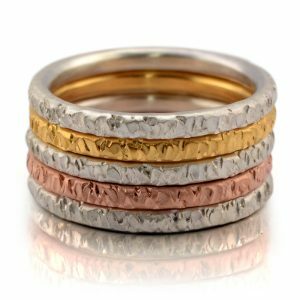 Bands pictured in textured sterling silver with a satin finish. 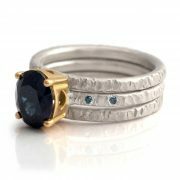 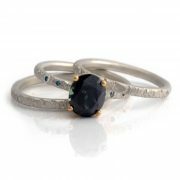 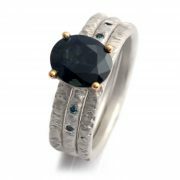 The middle ring features a claw set, oval faceted, natural dark blue Sapphire set into contrasting polished 18ct yellow gold. 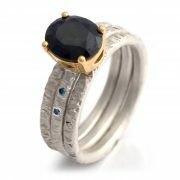 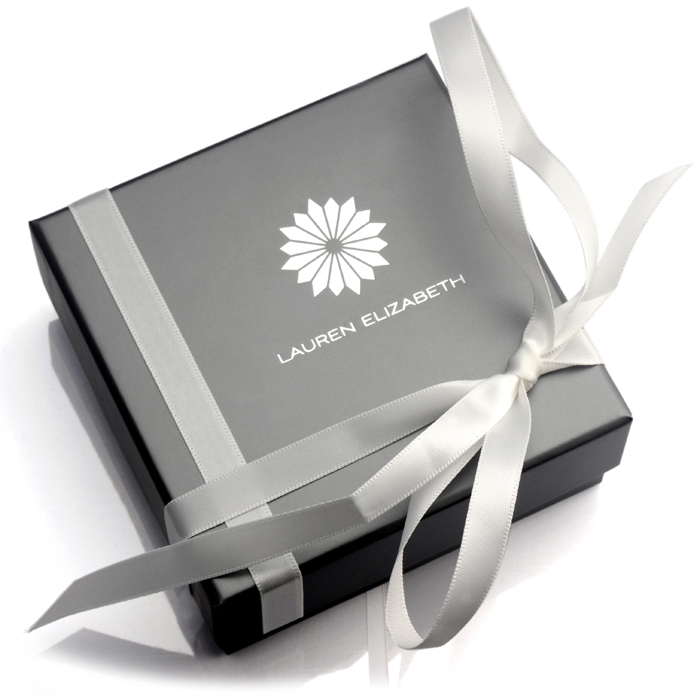 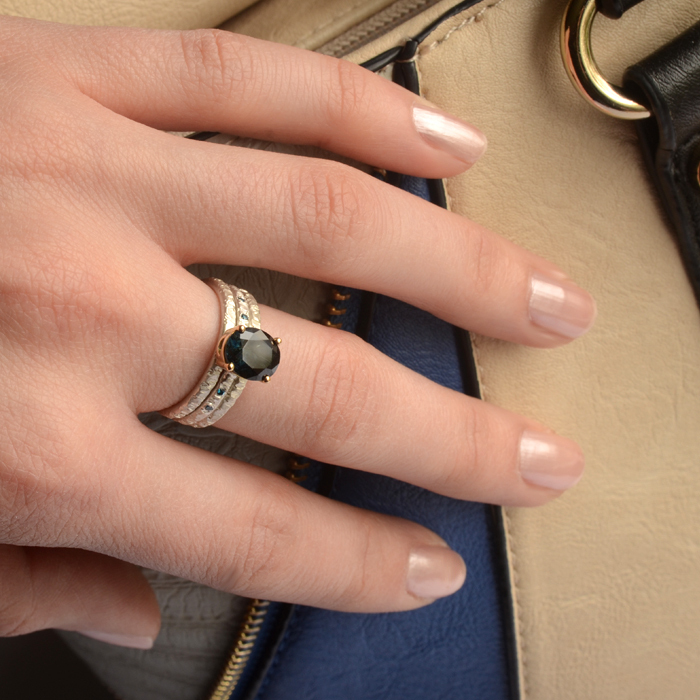 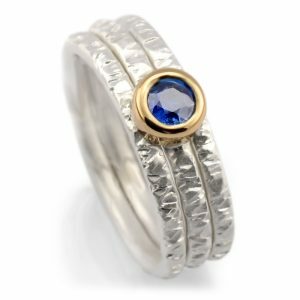 This ring is accented with 2mm round brilliant flush set petrol blue Diamonds. 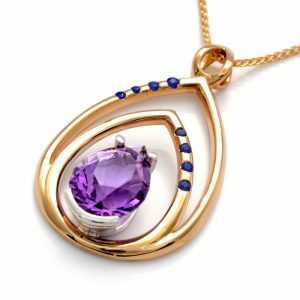 Please select options available from dropdown menu below. 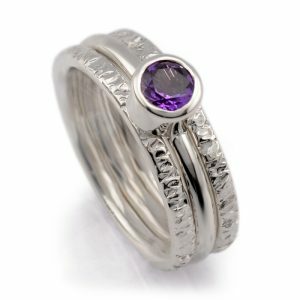 If your finger size or chosen metal/finish does not appear please get in contact for an order made to your specification. 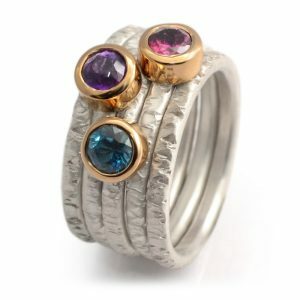 Alternative finishes and gemstones available to order.